WANT TO KNOW THE ORIGIN of a particular word or phrase? Wondering if anyone else’s family called the ice cream truck driver the “ding ding man” or ate “sangwiches”? Just ask Martha Barnette and Grant Barrett. 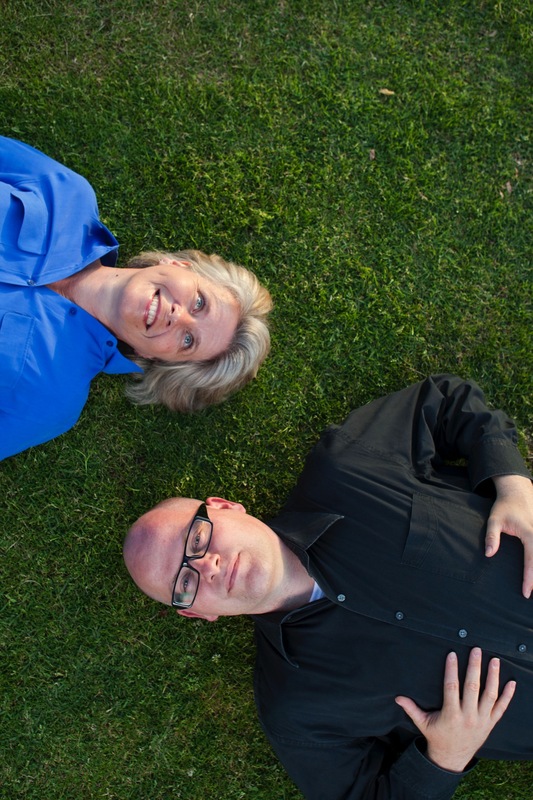 Martha and Grant co-host A Way with Words, an upbeat and lively weekly program heard on public radio stations in 300 North American cities and by podcast worldwide. The show, which originated in 1998 on San Diego’s KPBS, is now independently produced by Wayword, Inc, a 501(c)(3) educational non-profit. With about half a million listeners, the hour-long, call-in show is all about language, examined through history, family and culture. Any given week, the pair might answer questions about the latest slang, old words, new words, grammar, family expressions, regional dialects, word origins, language usage—in short, anything to do with words and how we use them to communicate. As for how new words or slang find their way into commonly accepted usage, Grant points out that those which are crucial to a work situation or everyday use tend to last, whereas trendy expressions often burn out quickly. “Google,” now an integral verb in daily speech, has been in use for about 15 years and will probably become the new “aspirin” or “kleenex”—both originally brand names but now commonly understood to mean any type of the generic objects they described. On the other hand, “bae,” one of last year’s hottest slang terms for one’s sweetheart, is basically passe now. From childhood, most of us have been taught, “use your words.” Thanks to Martha Barnette and Grant Barrett, we can know why we use the ones we do, and maybe even have a way with words ourselves. San Diego fans can catch Martha and Grant at an A Way with Words live event, part of a national tour, on January 25 at The Observatory North Park. Tickets are $30 and Grant humorously hints that the Q&A portion of the evening will feature “unadulterated language geekery!” Get all the info at waywordradio.org. Martha’s and Grant’s individual accom-plishments in linguistics, lexicography, media and journalism are formidable, and all can be found in their complete bios at marthabarnette.com and grantbarrett.com. Locally, catch A Way with Words in San Diego on KPBS radio 89.5 on Sundays at 3 p.m., or wherever you listen to podcasts. Current and archived episodes are also available at waywordradio.org. Got a question about language? Call 877.929.9673 or email words@waywordradio.org, and you just might be able to ask Grant and Martha on the air.